When Pop Rocks came out initially, I was like 10 years old. Or maybe it was just that I didn’t know they existed til I was 10. But either way, I immediately liked them because they were sweet (of course) but also fun to eat. When you think about it, as a kid, that was kind of the be all and end all. We weren’t discerning candy eaters back then – we’d gobble down whatever crap we could get our hands on. So add the novelty element like a lik-m-aid stick, a ring-shaped lollipop or candy that does jumping jacks in your mouth and we had a winner. 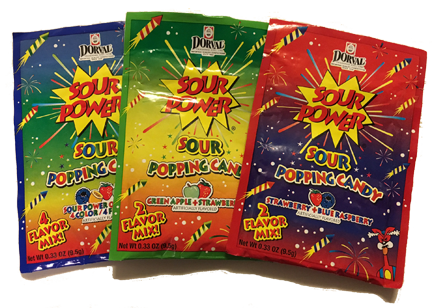 Now Dorval comes along and adds a third element to the Pop Rock paradigm: the tongue bending Sour Power Sour Popping candy. Dude. This stuff is sour. It’ll make you crinkle your nose sour. You see how there are bits in there but also super small bits like maybe sugar sized bits or perhaps simply “sour sugar” ? Yeah well I’m pretty sure that’s what we’re looking at here. 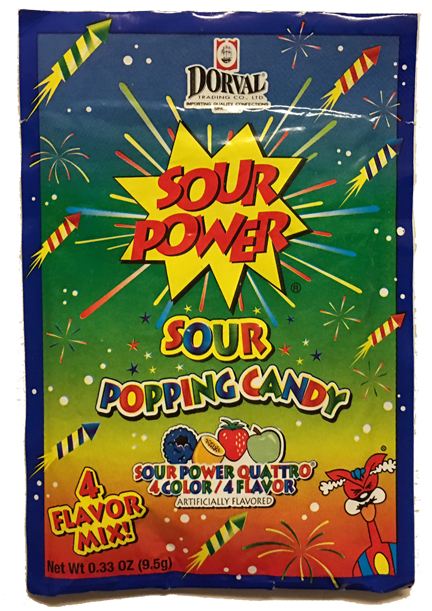 So essentially you are dumping sour sugar in your mouth that dances around the popping candy. Nothing wrong with that. But let’s be honest – the fine folks at Dorval aren’t making these for me. They’re making them for my kids and my kids will dig this stuff. 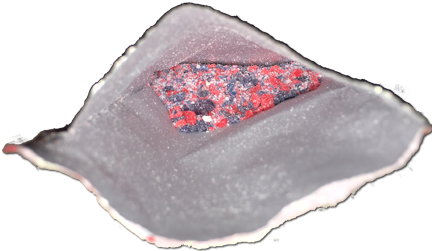 Like I said, Pop Rocks — or in this case so as not to tread on trademarks… — Popping Candy – rocks.